Yesterday counted as a staycation day. Although, it would really be a staycation day if I could really unplug from work, but that never happens. Because people call my personal cell and send me messages on facebook and my work phone is just staring at me with what I can only assume are lots of unread emails…. and then I feel guilty. Can no one ever take a day to rejuvenate? And can we not allow someone to take a day (or should I say give ourselves the ability too) unplug and recharge so they can feel their best? We all (read: the whole human race) need to be better about that. JPS and I have been wanting to try PJ’s Pancake House (they own the domain pancakes.com, this is serious business). They are located in the heart of Princeton, literally across the street from Princeton University. The line is always outrageous so we’ve never been able to go… or feel like we wanted to brave the line. Knowing that I took the day off we dropped his car off at the dealership and took advantage of the Princeton kids being in class and the post-grad fare of Princeton at work! It was small, quiet and delicious! 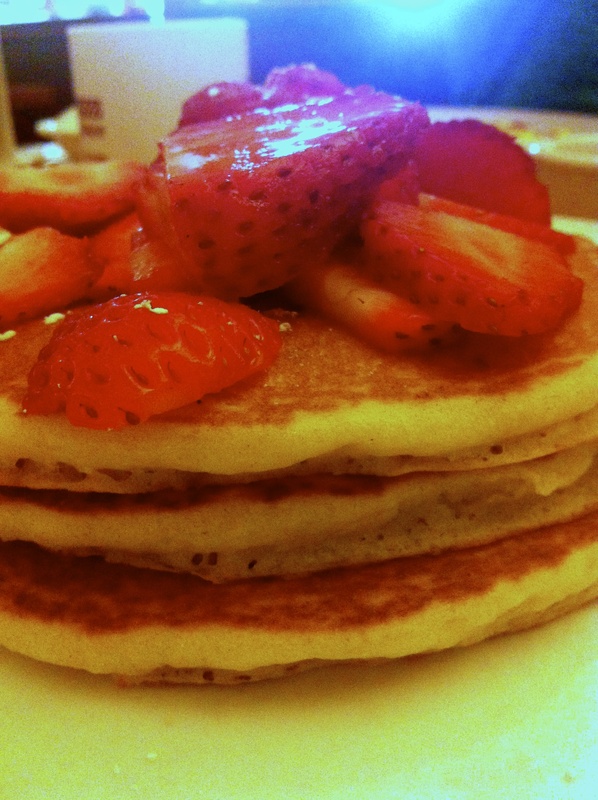 JPS ordered corn pancakes..that had real kernels of corn in them while I opted for the strawberries pancakes. They were really delicious (but how do you screw up a pancake?). They have a spicy apple and another that is potato pancakes… I think those might be what I try next! 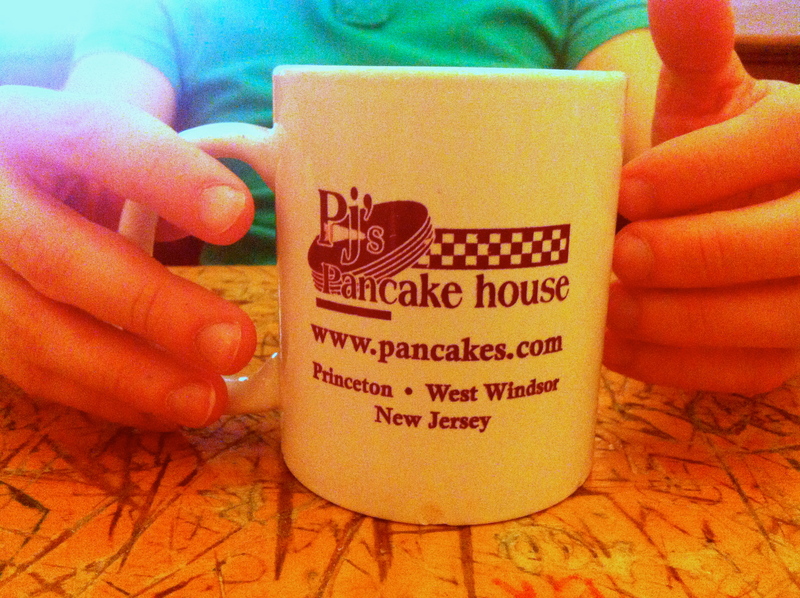 Categories: Good Spots | Tags: Breakfast, New Jersey, Pancake, Pancake House, princeton, Princeton University | Permalink.